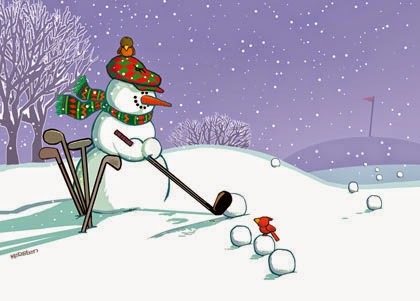 As we are well in the Winter season a good question would be how much does the temperature of a golf ball effect performance? Is it ok to leave your balls in your bag in the car or garage or should you take them indoors? To test this I put 20 Titleist Pro V1s in the car and left them there overnight on a frosty night, air temperatures dropped to -3 degrees C. Also I kept 20 Pro V1s indoors at room temperature. As soon as the frost cleared the following day I hit 20 balls that were kept in the car and 20 balls that were kept at room temperature. The golf balls that were kept in the car were noticeably cold to touch, the room temperature balls felt normal. The balls were hit with a Callaway Big Bertha Alpha, 9.5 degrees of loft and a Fujikura Speeder 757 S Flex shaft. The results were recorded on a Trackman 111 launch monitor. 5 cold balls were hit, then 5 room temperature balls were hit until a total of 20 of each ball were hit. The temperature was around 6 degrees when the balls were hit with little or no wind and sun shining. Ball speed is the big factor we are interested in and as we see from the results, ball speeds are practically identical, 152.5 mph with the cold ball and 152.4 mph with the room temperature ball. The room temperature ball has a slightly longer carry (229.8 yards against 228) and overall distance (250.4 against 246.8) which is a result of a slightly higher launch angle and lower spin rate. Can this be attributed to the lower ball temperature? Probably not, it's more then likely down to the vagaries of strike point on the club face. The intention with hitting 20 balls with each was to eliminate this as much as possible but as the test subject wasn't Iron Byron there's always be little differences in the strike. As there was no difference in ball speeds between the cold balls and room temperature balls we can conclude that ball temperature has little effect on the performance of the ball. No need to be storing golf balls indoors! The biggest factor in loss of distance in the Winter is colder air and unfortunately we cannot control that. Next experiment will be to see if warming the balls on a heater will have an effect. Any questions or comments are appreciated.